We just wanted to share this article with you on the last day of 2013. It is so encouraging and well worth the read. Yeah, you, the one sitting alone in your basement hammering out a thousand words every morning before you go to work. And you in the back, there… frantically taking notes in the writing workshop, attempting to be invisible. And what about you, about to sit down at your first-ever meeting with an agent, trembling with nervousness. Click here to read more. The fun part of writing is the knowledge gained and the great sense of accomplishment when typing “THE END”. Part of the process of writing is understanding the bare basics of words, grammar, and story. Today’s article deals with the make-up of words. At the most basic level, words are made up of units of meaning called morphemes. A morpheme may be a recognizable word like tree, run, or button that cannot be broken down into smaller meaningful parts. Click here to learn more. Writers need to build suspense in their stories. Without it, a story is bland and boring. Today’s link features a series by Cec Murphy on the writing craft. We hope you hop on over there and read the entire series. We need to build suspense. Many writers don’t get this simple principle about building suspense: It means we withhold significant information to build interest. Recently I read a manuscript and the first three paragraphs told me about a waif who was abandoned by her father and emotionally abandoned by her mother. My response: Who cares? She told us many facts, but she didn’t involve us emotionally in her story. Had she started with herself, she might have made us care. Click here to read the rest of this informative article. 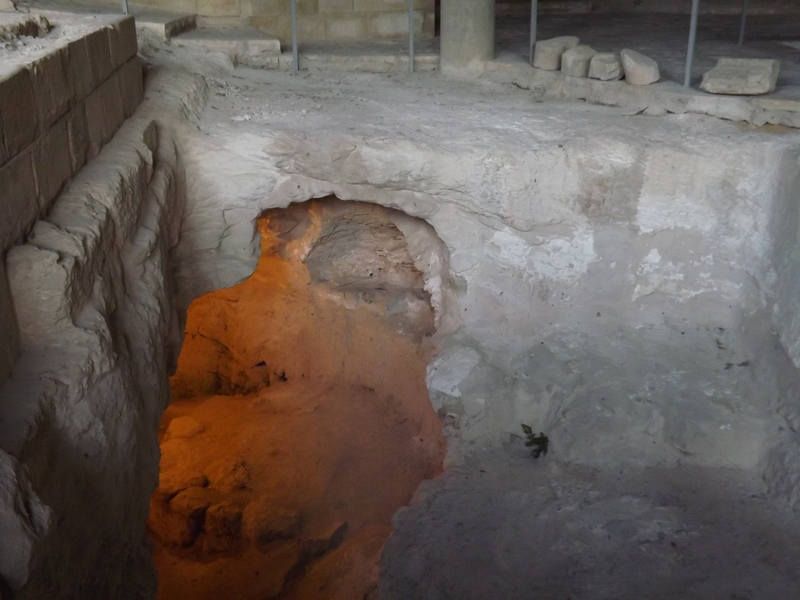 In Bethlehem, just a short walk from the Church of the Nativity, the place of Jesus’ birth, is a shallow cave. The opening of this cave is glassed in making it a small chapel. Inside, we sat against the wall of the cave and sang a Christmas carol as we gazed out over the stony and hilly fields where the shepherds watched their flocks by night. I could picture them sitting around a small fire when suddenly, a host of heavenly angels appeared and the birth of Jesus was announced to them. These shepherds tended the flocks of sheep that were used for the temple sacrifices. How prophetic it was, that Jesus, the Lamb of God was born in the place where the sacrificial lambs were raised. This shows how specific God is as He works in our lives. As you hope for a child, He will work His beautiful will into your story. Keep your eyes on Him. Merry Christmas! 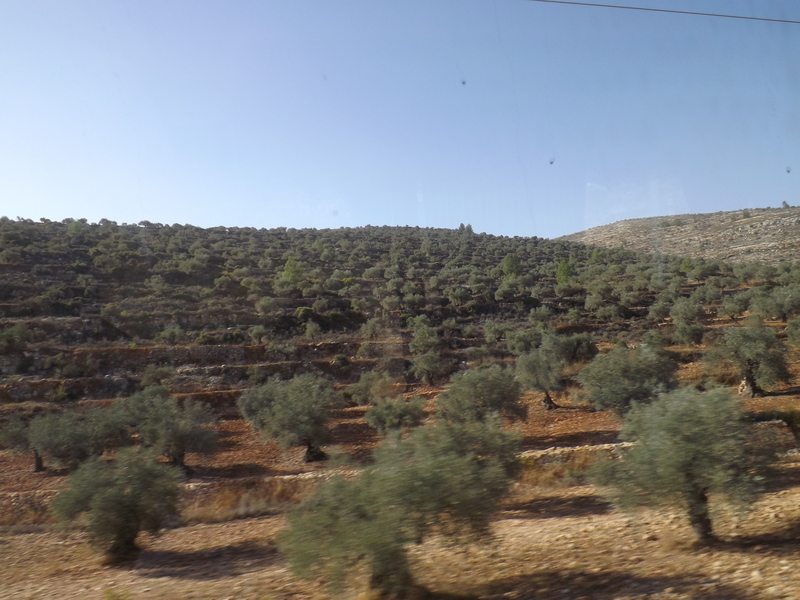 As I shared in my last blog, all it takes to plant an olive tree is a branch from a tree and good earth to plant it in, and of course water. Notice, you don’t necessarily need a bag of seed to plant an olive grove. Just like God has made it possible to plant olive trees two ways, He has made families to form in two ways, by birth or adoption. We would never say a tree planted from a branch is not a real tree. So, why would we get the idea that a family formed through adoption is not a real family? In God’s eyes they are the same. “Your wife shall be like a fruitful vine, within your house, your children like olive plants around your table. As we turned into Bethlehem, we had to go through a Palestinian checkpoint. Our Jewish tour guide had to pretend to be on the tour and make room for a Christian Arab to lead us through the city, since Jews are no longer allowed into Bethlehem. How sad. 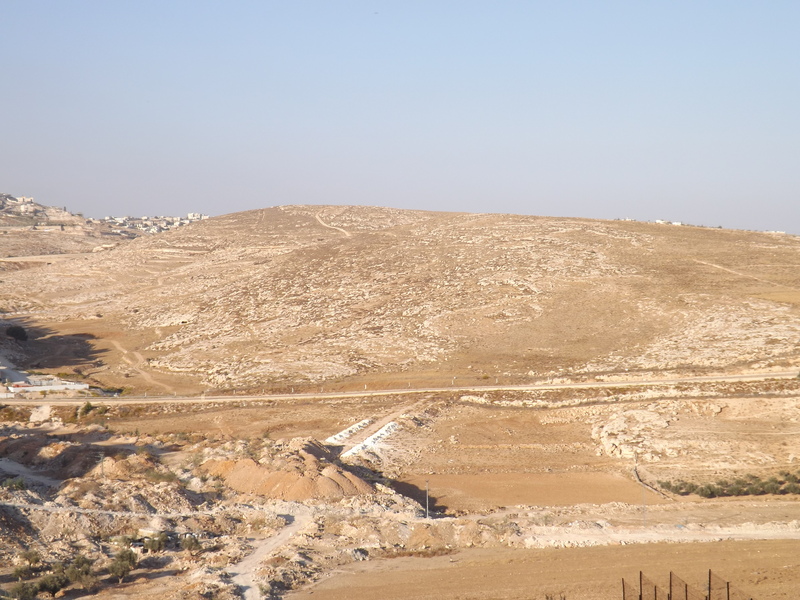 Bethlehem was founded by the Israelites. In recent centuries, Bethlehem was about 80% Christian, but now it has dwindled to a mere 10% now that the Palestinians control the area. Our new tour guide took us into the Church of the Nativity which was built centuries ago over the birth place of Jesus. Jesus was born in the cave below. As we descended into the cave, our guide explained to us that in the section of the cave he was taking us to, archeologists had found the bones of many small children. It appears that the boys two years and younger that were slaughtered by king Herod had been buried in the very place where Jesus was born, evidence that Satan threw a tantrum when our deliverer was born. Down through history we see Satan throwing tantrums through someone whenever God brings victory. We see it in the story of Moses. Pharaoh kills all the boys two and under at his birth. Satan knew a deliverer had been born. Satan threw a tantrum through Hitler when he knew he was losing his grip on the dispersion of the children of Israel. God was calling them back to their land. Why am I bringing this up? Often we see heartbreak before we see victory, so don’t lose heart in your quest for a child. God is still in control. There was No Room for Him in the Inn? 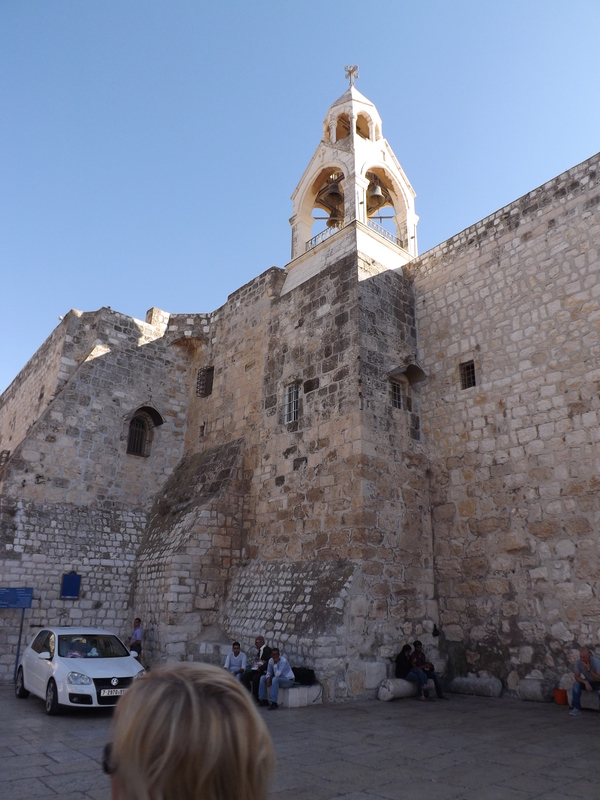 During my travels in Israel, we had to visit Nazareth. After all it was the childhood home of Jesus. We stopped at a place that was marked in antiquity as Mary’s house. Another house had been excavated just a stone’s throw away from Mary’s abode that shed light on the story of the Nativity. I grew up thinking the people of Bethlehem had to be a bunch of heartless people. How could they turn away a young girl about to give birth and send her out to the barn? Yes, perhaps there was something fishy about her pregnancy. But even so, how many people do you know, would send a young girl to the barn to give birth? As we peered down into this house in Nazareth, our guide explained to us, that the word inn is a mistranslation. In those days, people built their houses over the openings of caves, making the cave a back room. And because their animals were their most precious possessions, they would put the animals in this cave-room to protect them from thievery at night. In those days, people travelling would stay with relatives if they could. So, Joseph and Mary most likely went to a relative’s house in Bethlehem along with others who had to return to Bethlehem for the census as well. Because of this, there was no more room in the front of the house and the back cave provided more privacy. Hence, Mary and Joseph stayed there. Many scholars believe that Jesus was born in the heat of August. If that is true, it would have been much cooler in the cave-room as well. Just thought that was an interesting Christmas fact.